In order to apply for any of the MCHA Housing Programs, applicants must meet the following eligibility requirements , and score well on our Applicant Preference List. 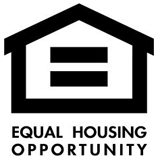 Before being placed on a waiting list for any federally assisted housing assistance program administered by Madison County Housing Authority (MCHA), all applicants must be determined " income eligible ". 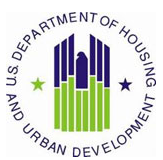 Families with household incomes at or below the " Very Low Income " range are eligible to be placed on the waiting lists for the Section 8 Housing Choice Voucher Program and the Public Housing Programs. Families with household incomes at or below the " Low Income " range are eligible to be placed on the waiting lists for the Public Housing Programs. On project based programs , all prospective residents are evaluated from a desirability perspective . The standards are very similar to those used by a private owner to screen prospective tenants, including, but not limited to those previously mentioned. Applicants being considered for apartments managed by MCHA are required to be able to get tenant-paid utility services activated in the name of the head of household (spouse or co-head) upon move-in. Because of the large volume applications for our housing programs, all applicants will have to submit an application to be included in our waiting list . When a housing unit becomes available, the MCHA will pick an applicant based on the total points in the Applicant Preference List. If there is a tie in the number of points, MCHA will award the unit on a first come first serve basis. To apply for our waiting list, please PRINT AND FILL IN the application form for the properties that you wish to apply for. All applications are in PDF format. Click Application Download below. Click here to download the current version of Adobe PDF Reader. The Section 8 Housing Choice Voucher (HCV) Program has an exceptionally long waiting list averaging up to 3-5 years . Public Housing Programs may be accessed more quickly especially in outer county areas where the waiting lists tend to be shorter. All of our waiting lists for public housing are site-based waiting lists meaning that an applicant must apply for a specific development . Generally, the waiting lists for older adults (at least 62 years of age) wishing to live in our senior developments are shorter and therefore may be accessed more quickly .